Have a truly authentic fall party or event by providing Hayrides for your guests. This iconic fall tradition is sure to make your party or event the highlight of the holiday season. Have a Hayride wagon at your party or event from Gravity Play Events. Our hayride trailers have room for 25-30 people at the same time depending on the kid to adult mix. 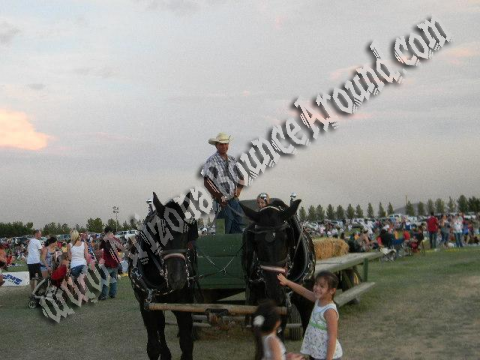 Everyone loves to ride on a Hay Wagon and we deliver it right to your event. Comes complete with staff and 2 horse team. Having hay rides at your event is a great way to add excitement to your carnival or event. Our hayrides are perfect for western themed events or holiday parties in Colorado. Our Hay Rides consist of a choice of the wagons Our wagons include- Trolley (no straw bales- seated wagon), Jail wagon (also seated wagon no straw bales), Flatbed wagons in different sizes (with or without straw bales), and a Fancy wagon (People Hauler without straw bales).